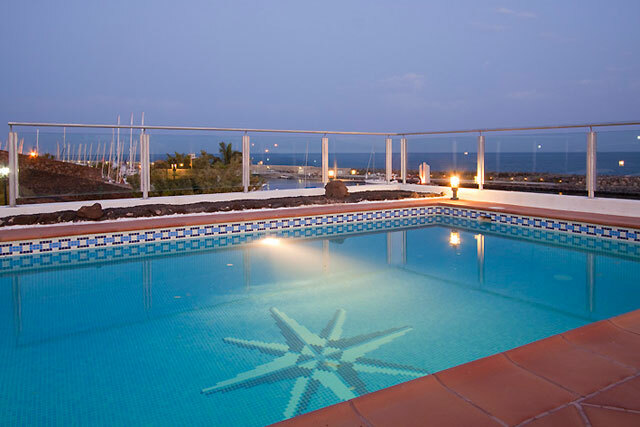 This wonderful 4 bedrooms villa is near the beautiful port in the prestigious area of Puerto Calero, with excellent accommodation complemented by wonderful suntrap gardens and a great swimming pool (size:13 x 3.50 m- depth: 0.45 x 1.25 x 1.85) heated by solar panel, with beautiful views, will do your holidays unforgettable. 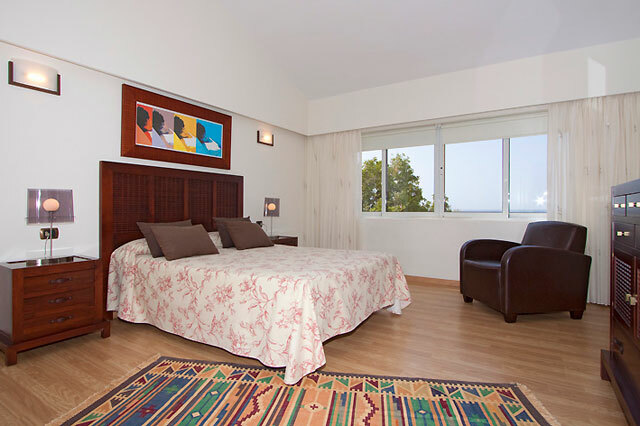 Every wide bedroom is decorated by its own style and equipped with air conditioning and heater. 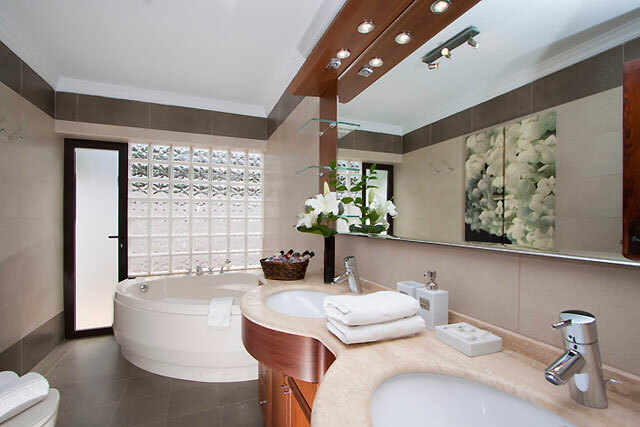 The main bedroom comes with a wardrobe built-it where the safe box is located, and with on suite bathroom, fit with a Jacuzzi bath. 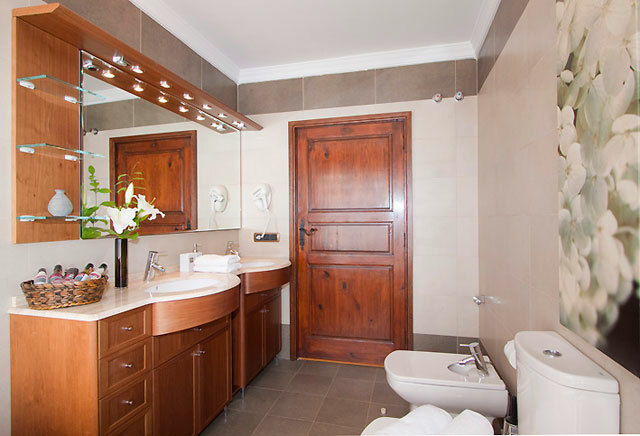 There are two more bathrooms, with shower, fully equipped. 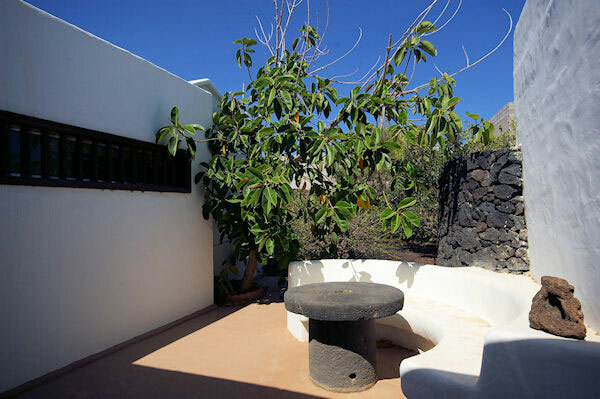 A warm kitchen, decorated with rustic style, and full equipped with ceramic cooker, double fridge, dishwasher, oven, microwave, electric coffee maker, kettle, toaster, and a complete household. 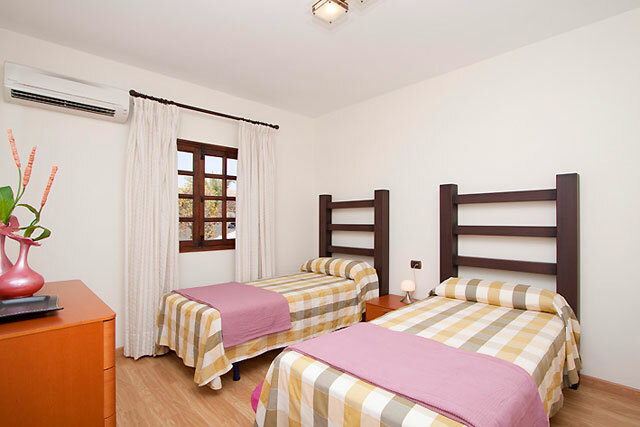 It has a wide sun lounge with a washing machine, tumbler-dryer, clothes-line, iron and ironing board. 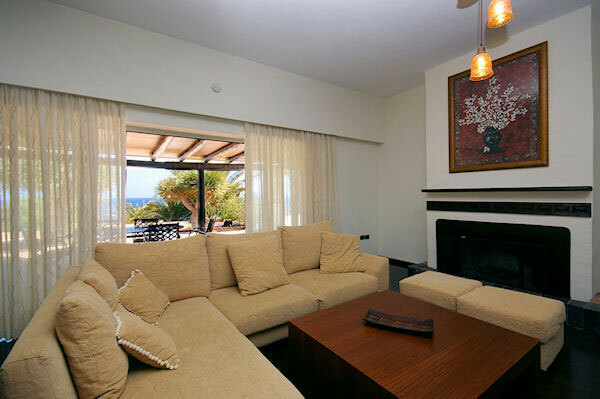 Bright living and dinning-room, with high quality furniture, air conditioning, heater, fire-place, satellite flat screen T.V., DVD, brings you out to a partially shaded terrace with a built in BBQ, a masonry bank, table and chair for 8 people, where you can enjoy your families barbeques. 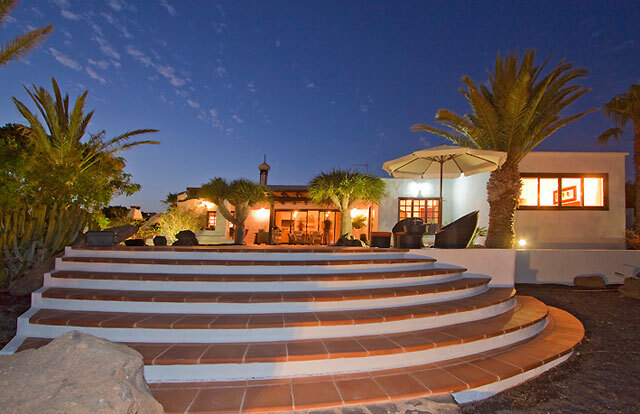 In the main entry there is a private parking with direct access to the villa. 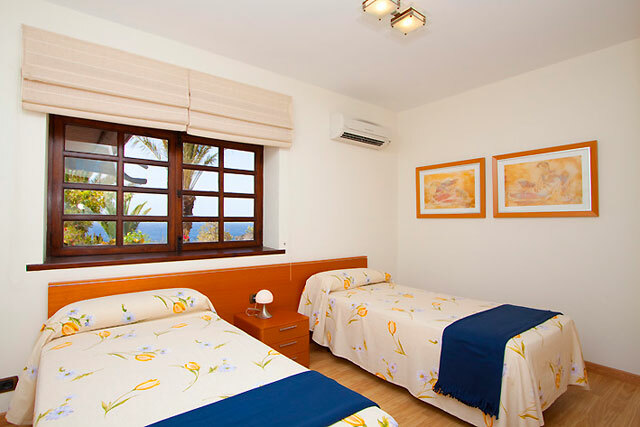 In the past few months Puerto Calero has renovated its commercial area. The Fashion Walk with its exclusive shops offers the most select names in international fashion. 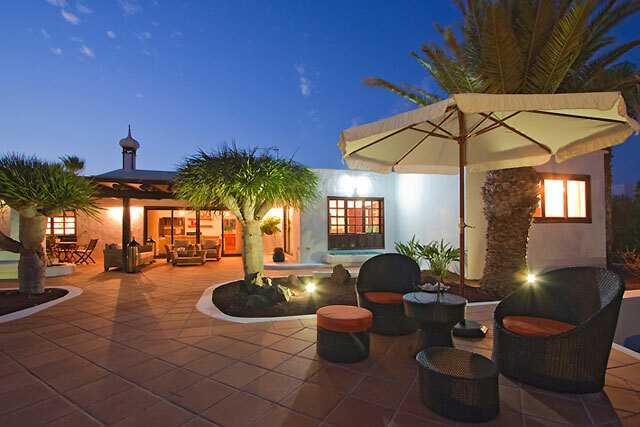 As well, gastronomy occupies a very important place at Puerto Calero. Think about what you want to eat today and come! Gourmet, Mediterranean, Oriental, Italian, bistro, grill or Canarian all await to please your palette for lunch or dinner while enjoying the magnificent views from any of the places facing the yachts and sailboats moored in the marina.